News:04.17.2017, After 13 years here is a site update! News: 03.09.04, New layout in testing. Link: 03.09.04, Card Captor Sakura Torrents!. News: 11.23.03, CTW Nebraska, Your local webhosting solution! Tools:: 11.18.03, Pre-OSX software archive, has been added. News:: 07.16.03, This saved my life at work today. News: 02.18.03, nanaka has been upgraded. The LC III now has 36 megs of ram! News: 01.30.03, No Powerbook should be without iStumbler. Added: 11.03.02, T-shirt Design for IIP. Link: 09.18.02, I want a Hubzilla! Link: 08.31.02, Bad hardware deserves this! News: 08.24.02, Picked up some good stuff at the auction. 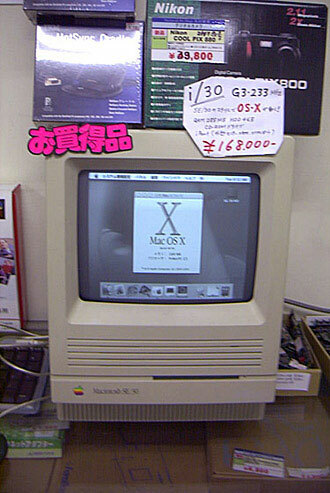 News: 08.22.02, Auction on the 28th of this month, hope to pickup several 68k macs. Maby even a PPC or two. Added: 08.22.02, Current list of mac owned can be found here. News: 08.15.02, New server in operation.